The study of print culture or book history is an interdisciplinary challenge that has been met in different ways across the globe. The subject has been burgeoning in the Anglophone academic world for nearly two decades now, and 2013 marks the 21st anniversary of the first annual meeting of the Society for the History of Authorship, Reading, and Publishing (SHARP). While the German tradition in the study of the book was established many decades before, it seems to us that scholars from German-speaking countries are rather thinly represented internationally. We want to change this! 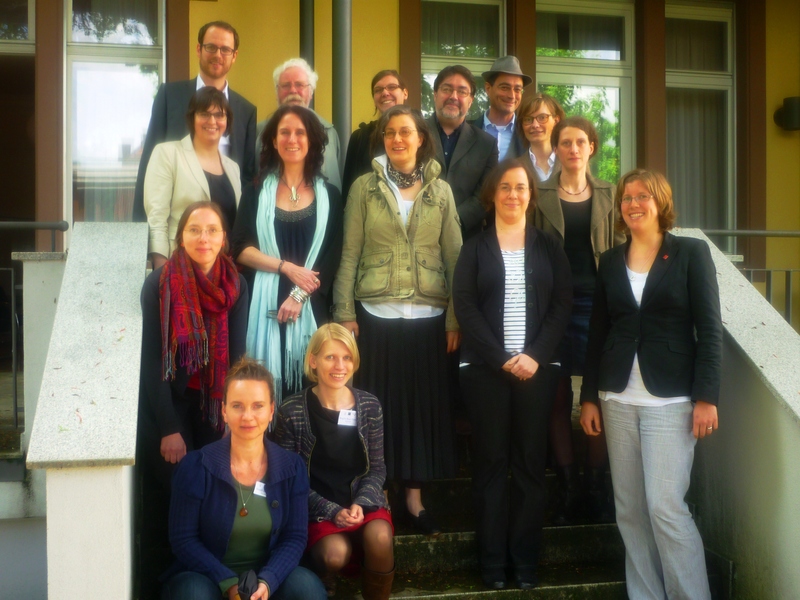 The plan to set up this blog sprang from a network conference for scholars working in the fields of bookhistory and print culture organized by Doris Lechner, Stefanie Lethbridge, and Corinna Norrick-Rühl in May 2013 at Freiburg University. We intend to use this site to draw attention to projects in book history and print culture originating in German-speaking areas as well as to research by international scholars with a distinct focus on German-regional issues. We will feature news, conference announcements and reports, project descriptions, as well as short essays. In order to make this blog accessible to an international audience, posts will mainly be in English. For further information on how to contribute see FAQ: Our List of Associated Scholars. The opinions expressed by the authors of individual posts on this website do not necessarily represent or reflect the views of this website and its administrators or of the Book History and Print Culture Network and its affiliated scholars. The Book History and Print Culture Network is not responsible for the content of any webpages in or linked to this blog. Comments on this website are the sole responsibility of their writers. For all email addresses, please replace [at] with the @ sign.